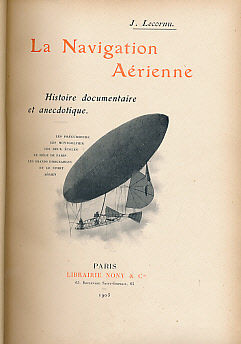 Barter Books : Lecornu, J : La Navigation Aérienne. Histoire Documentaire et Anecdotique. B/W plates and illustrations within text. 320 x 230 mm (13 x 9 inches) - vii,484pp + ads. 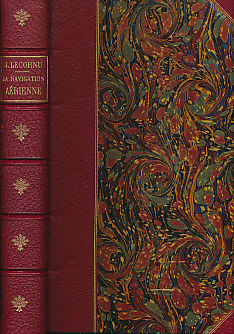 Half-leather hardback with marbled boards. VG : in very good condition without dust jacket. Presumed rebind. Light edgewear with loss at corners. First and second front end papers torn at lower right hand. Browning at edges.